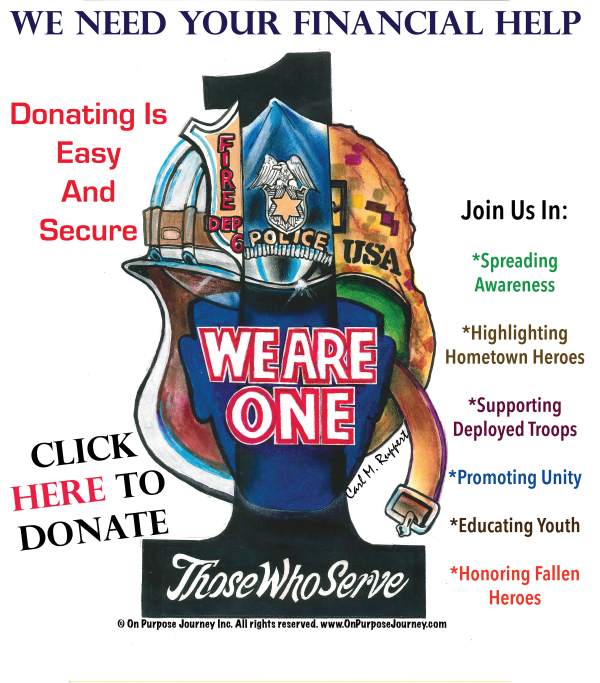 On Purpose Journey Inc. started 11 years ago and has affected tens of thousands of lives during its existence, honoring and supporting those who serve (firefighters, law enforcement, military, and veterans) as well as standing for the fallen. We started out sending care packages overseas and though we have expanded our services, we still continue sending care packages to our deployed service members. We thank you for joining us for so many years, carrying the torches for those who have made the ultimate sacrifice and successfully making a positive difference in this world. Here’s to many more years of making a positive difference together!